Extras - Today's Battle Royale store and current week's challenges! Free the V-Bucks is a guide for earning V-Bucks. On the Extras section you may find today’s store items and current week’s Battle Royale challenges. There will be guides, tools, math, min/maxing discussion and tips & tricks about anything Fortnite related, not just V-Bucks. All currently active and past V-Bucks giveaways from Free the V-Bucks are listed on this page. All giveaways are done through Gleam and the winner will be chosen by the Gleam application. View all Fortnite weekly challenges in Season 8! See all past and current weekly challenges in the new season. Why V-Bucks generators don't work? Why these sites exist and is there a generator that works? Remember that there are ways to get free V-Bucks legally! How much V-Bucks can you earn in Save the World? Players are reporting to earn thousands of V-Bucks by playing Save the World and here is the math behind it! You can earn from 1000 in a few days to 5000 V-Bucks in 2 weeks. Go to the Item Shop in Battle Royale or the Loot tab in Save the World and select "Support a Creator". Enter "iferal" in the dialogue box to support us. Thank you so much! View current mission tracking for new MEGA Alerts, Mini-Boss, Group, Storm and Elemental Storm missions. 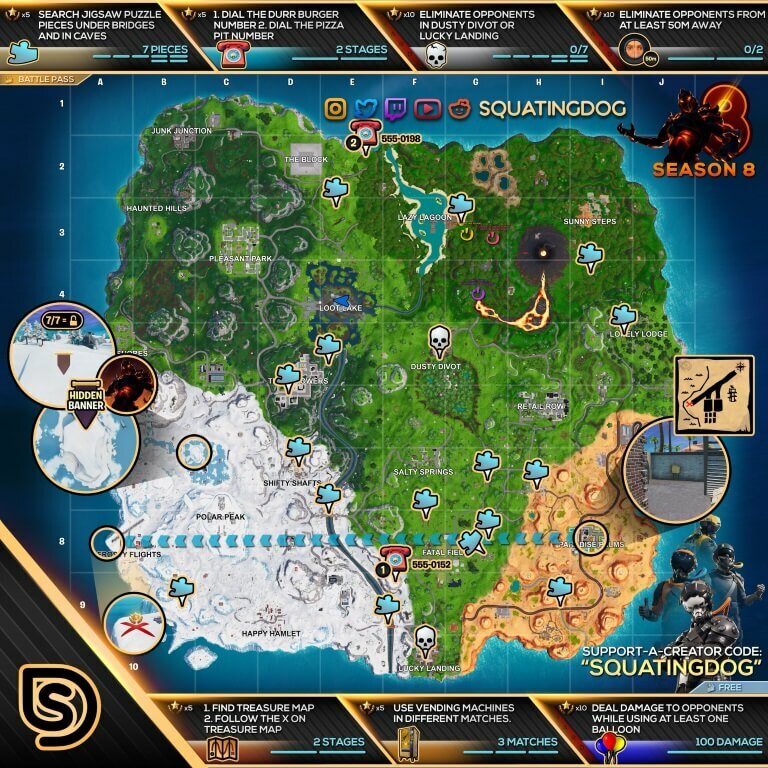 Fortnite Save the World features different types of timed missions (also known as Mission Alerts) which grant bonus rewards on completion. Today's item store in Fortnite Battle Royale and Save the World's daily llama. View the current featured and daily items in the shop! Updated when the items change. Read through the step-by-step guide how to get Fortnite Twitch Prime cosmetics for completely free! Weekly challenge images by Squatingdog. Current item store images and tracking provided by Storm Shield One.